The menu at Blue Duck Tavern is a moving target. It changes with the seasons, or with the chef, but there’s one thing that we hope never goes away: ‘Dem bones. It’s as simple as that. 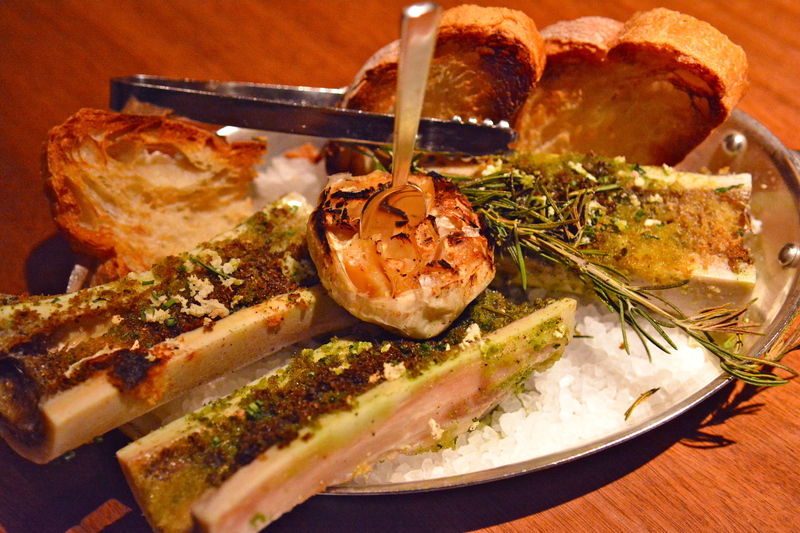 We’re talking about The Best Thing on the Menu: Wood Oven-Roasted Bone Marrow with Horseradish Butter and a Parsley Crust. Marrow is nature’s margarine (and far more spreadable than butter), so don’t miss out on the perfect bite at BDT. First, smear marrow on still-warm toast, then smash a roasted garlic clove on top before digging in. While you’re feeling guilty about calories (Anthony Bordain calls marrow God’s Butter), remember that it contains essential fatty acids and at least eight vitamins and minerals. Another stunner comes in dessert form. Pastry Chef Naomi Gallego is a wizard of epic proportions. 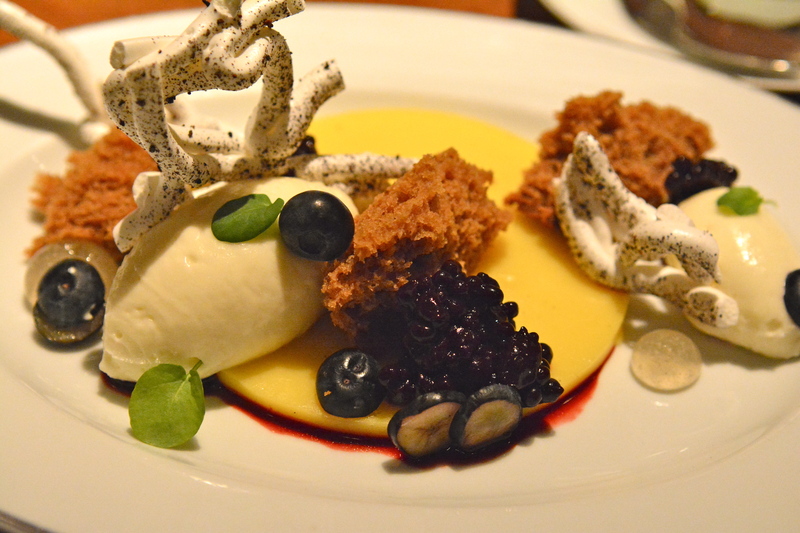 Just look at this deconstructed Meyer Lemon Ice Box Cake consisting of Lemon Cremeux, graham cake, cream cheese blueberry pearls and Tasmanian pepper meringue. It looks like an underwater ballet set in a coral reef. Sometimes when things get too artsy, they don’t taste as grand. But this sure does. Nothing says where the hell are you summer more than the pairing of blueberry and lemon. Bone Marrow not your BTM? Share your favorites in the comments section. This entry was posted in Restaurants and tagged Anthony Bordain, Blue Duck Tavern, Bone Marrow, Dessert, God' Butter, Meyer Lemon Ice Box Cake, Naomi Gallego, Park Hyatt, Pastry Chef, West End, West End Restaurants. Bookmark the permalink.